A Canberra women's league match was stopped for almost 20 minutes on Sunday when a kangaroo bounded onto the pitch. The match between Belconnen United and Canberra was at its halfway point when the most unlikely of streakers made its way onto the field. A kangaroo leapt onto the arena from the stands with ease and stood under the goal posts at one end. After several false starts, it was eventually directed away to safety for play to resume. 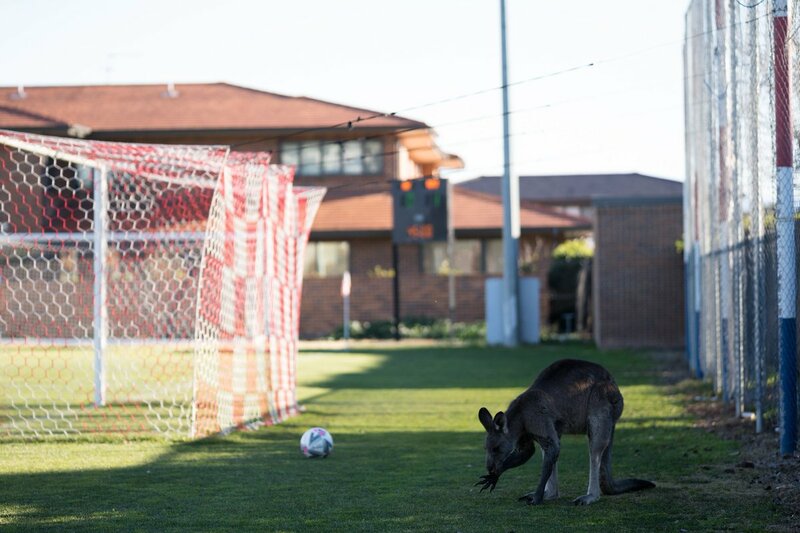 Belconnen won the match 2-0, but the kangaroo was certainly the star player.